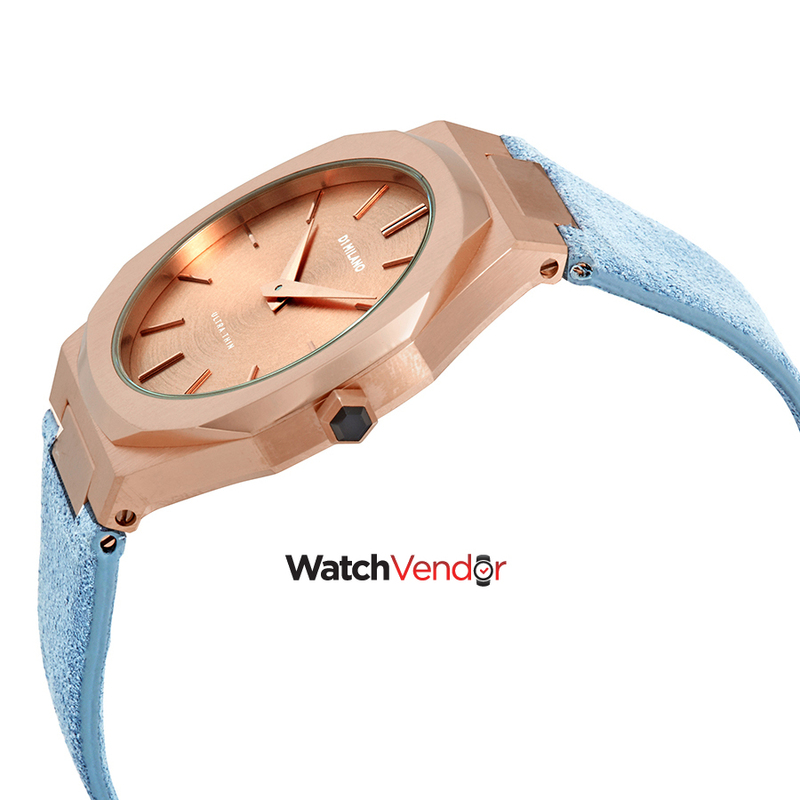 Rose gold-tone stainless steel case with a light blue leather strap. Fixed rose gold-tone stainless steel bezel. Rose gold dial with rose gold-tone hands and index hour markers. Dial Type: Analog. Miyota Calibre GL20 quartz movement. Scratch resistant mineral crystal. Screw down crown. Solid case back. Octagonal case shape, case size: 38 mm, case thickness: 6 mm. Buckle clasp. Water resistant at 50 meters / 165 feet. Functions: hour, minute. Casual watch style. Watch label: Japan Movt. D1 Milano Ultra Thin Rose Gold Ladies Watch A-UTL04.